Resident Evil 7 might not be the Resident Evil sequel we dreamed of, but this is the flipside of AAA's lack of innovation: fans who can't let the recent past go. The problem with any long-running franchise that innovates in any fashion - see Final Fantasy - is that the answer varies from person to person. Resident Evil isn't the same game as Resident Evil 4 or Resident Evil 6. The series shares an aesthetic and narrative wallpaper, but mechanically the games themselves are quite different. 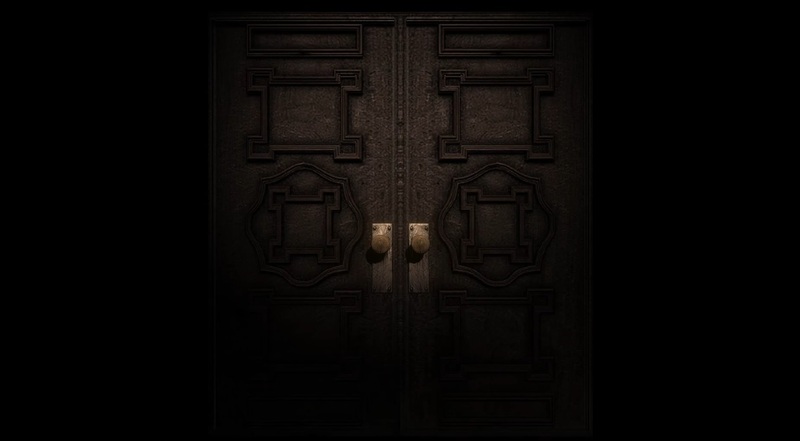 The first Resident Evil is about the knowledge of the Spencer Mansion you're trapped in and the tension that comes from not knowing what's behind the next door. 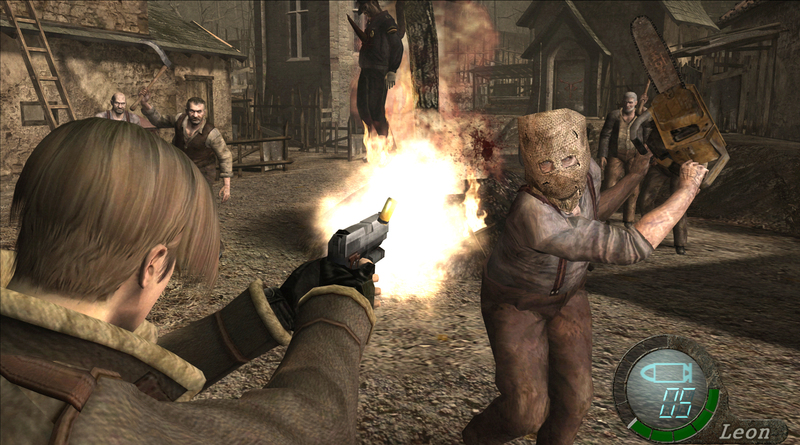 Resident Evil 4 is an action-heavy game whose tension comes from adaptation. It's a fairly linear affair that throws Leon into overwhelming odds and charges you to think on the fly. Resident Evil 6 tries to be all things to all people, roving across a number of different concepts and ideas. So why is Resident Evil 7 the one that's seen by some fans as "not Resident Evil"? 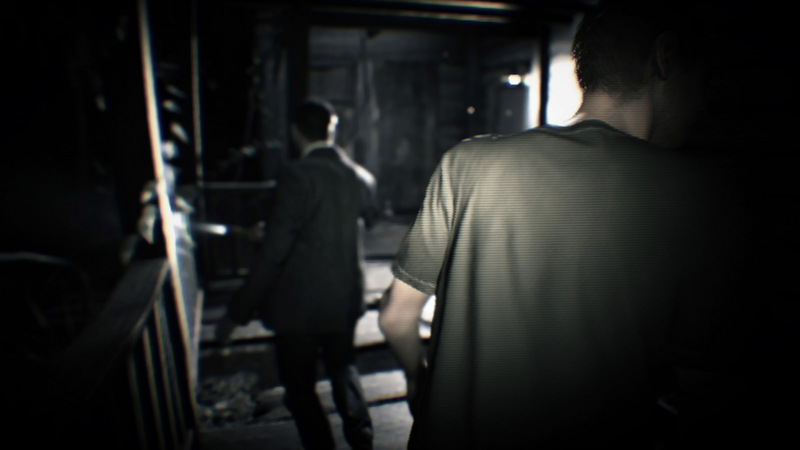 For Capcom, Resident Evil 7 is seen as a "back to basics" game, trying to recapture the feeling of the original release from 1996. "Resident Evil, as you know, has always been a horror game, but it's branched off into other tangents across the years, and one of the main focuses of this title was to focus on the series' main strength," Resident Evil 7 director Koshi Nakanishi told PCGamer last year. "Instead of trying to do everything in one title, let's try to do its strongest suit right, the best we can, and that's horror. And also, to do that in a modern game. Like Resident Evil 1 or the remasters of Resident Evil 1, which are kind of the old-style game ... let's do that in a modern setting, with modern technology." Fear the door. RE HD Remaster vs Resident Evil 7. The early looks at Resident Evil 7 recalled P.T., the playable teaser that was supposed to precede Hideo Kojima and Guillermo del Toro's Silent Hills. 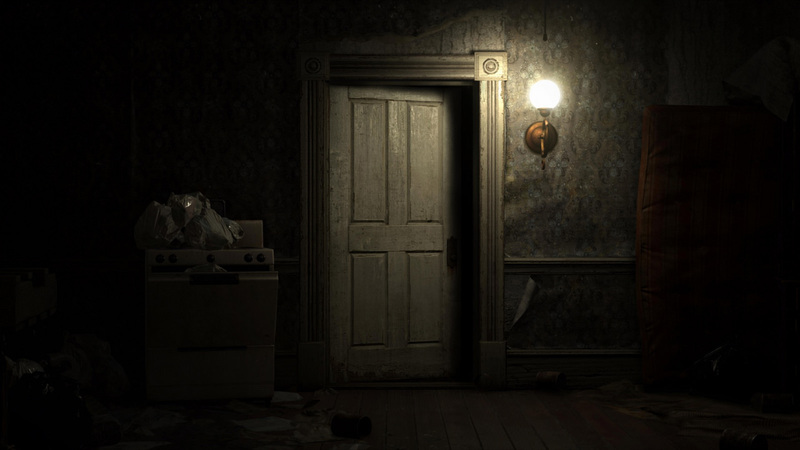 Switching to a first-person viewpoint, early demos showed a protagonist trapped in a run-down home in a swamp, somewhere in the American South. No weapons, no mutated horrors, and none of the familiar extended cast of heroes and villains that had characterized the series up until then. Instead, you're held captive by a family that recalls the Texas Chainsaw Massacre. Perhaps that was a misstep by Capcom, trying to present something different under the "Resident Evil" name. Since then though, Capcom has shined a light on the other aspects of the game and what's been shown feels like classic Resident Evil. The focus is a weaker protagonist trapped in a single place, the sprawling, remote estate of the Baker family. 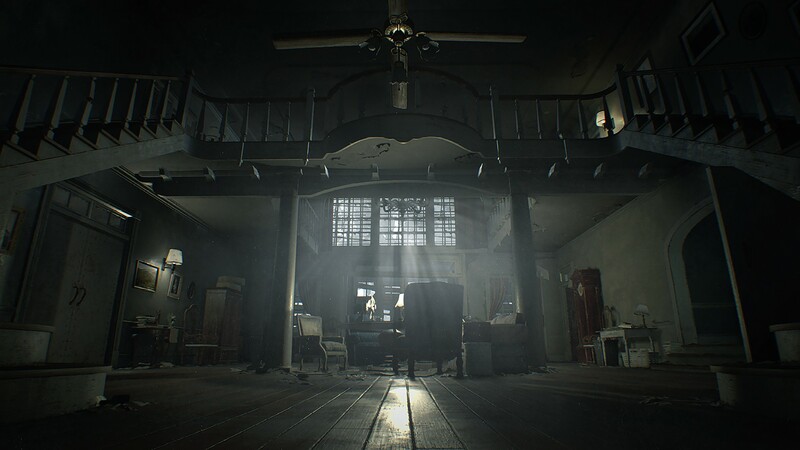 Resident Evil 7 is about learning the layout of the Baker complex and using that knowledge to survive. The early demos lacked weapons, which gave fans like myself pause. 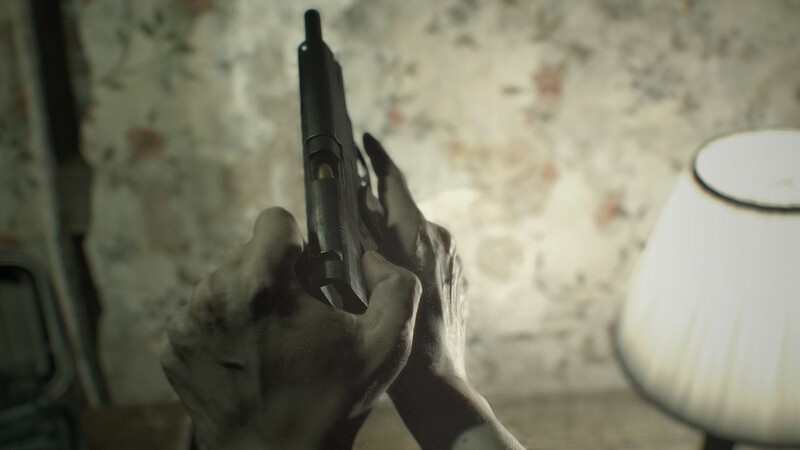 There are guns and other equipment in Resident Evil 7 though, but unlike later entries in the franchise, they don't make you a powerful force of destruction. Instead, you have to decide if you want to stand and fight with your meager resources, or run away. The tension comes from that choice, because you never know if you'll find more bullets or health items right around the corner or several rooms from where you are. 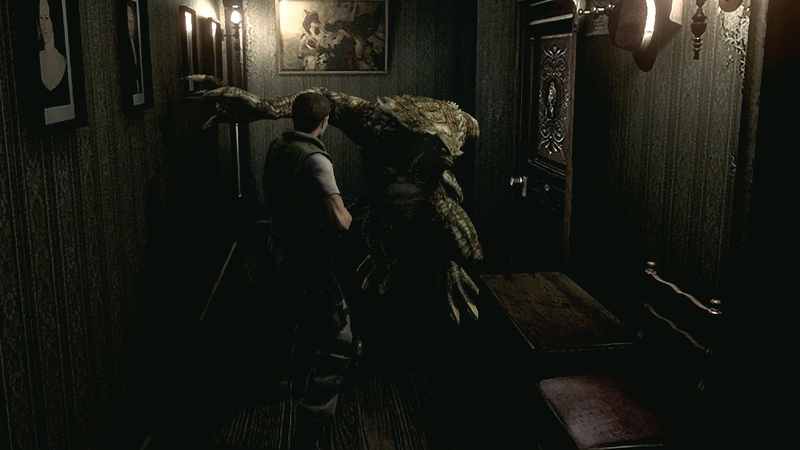 Players of the first Resident Evil remember ducking back into a previous room after running into enemies you weren't prepared for. 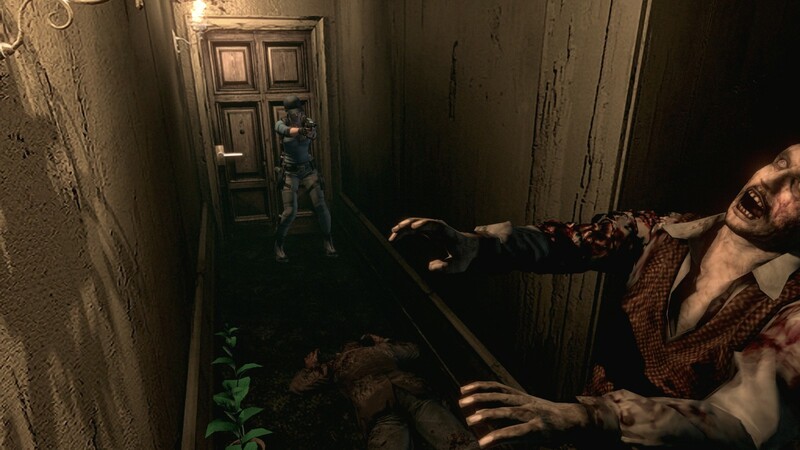 We all remember the first zombie in Resident Evil, the dog breaking through the windows, or when the Hunter broke our barrier of safety by opening a door. Every door mattered, because you never knew what was on the other side and this created tension. Resident Evil 7 wants to recapture that. "We felt that as Resident Evil progressed, the enemies were more frequent, more abundant, and at the same time it almost lessened them, almost cheapened the feel of each encounter," Nakanishi told Eurogamer. 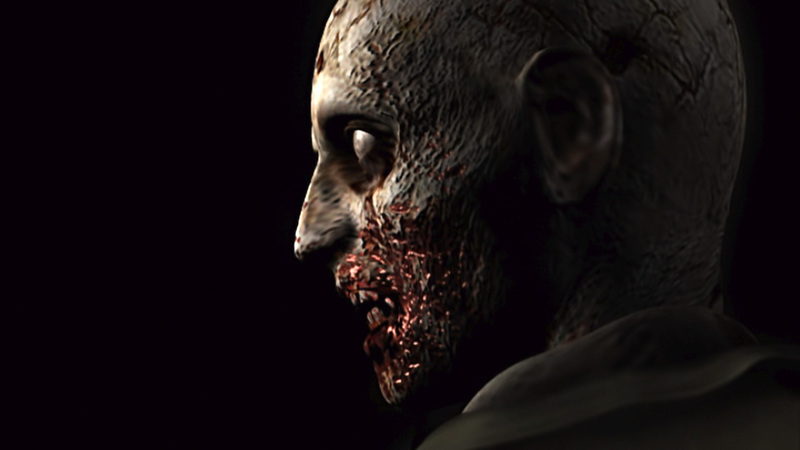 "We looked back and thought, what is a Resident Evil adversary all about? What do those encounters mean? At the end of the day, each adversary should represent a fear. Something that means when you encounter them you are scared. At the same time, because you're scared, when you do overcome them you feel a greater sense of triumph, so that's definitely something that we were trying to strive for." 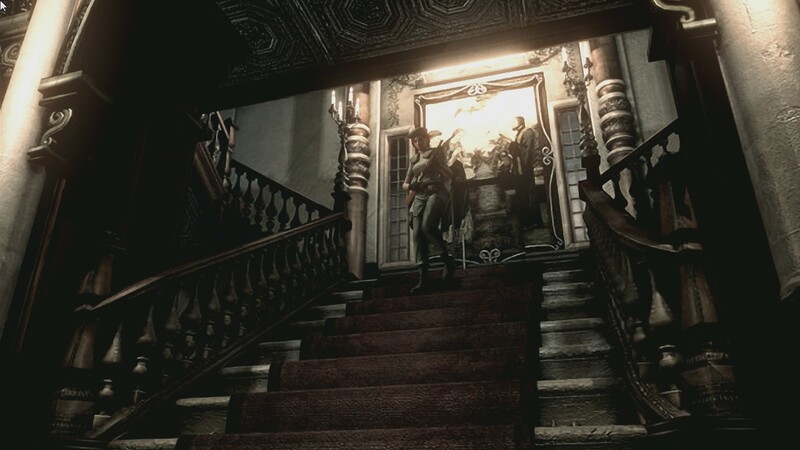 The Spencer Mansion, the esoteric puzzles, the physical inventory system, the tense, singular monster encounters: these things defined the early Resident Evil titles until Shinji Mikami returned to the series and turned it on its head with Resident Evil 4. Capcom is bringing them back for Resident Evil 7. Resident Evil 4 changed everything. Have fans' perceptions of Resident Evil changed too much? Resident Evil 4 launched in 2005, making it over a decade we've spent with a specific type of Resident Evil. Is it the lack of known Resident Evil characters that turns people away? 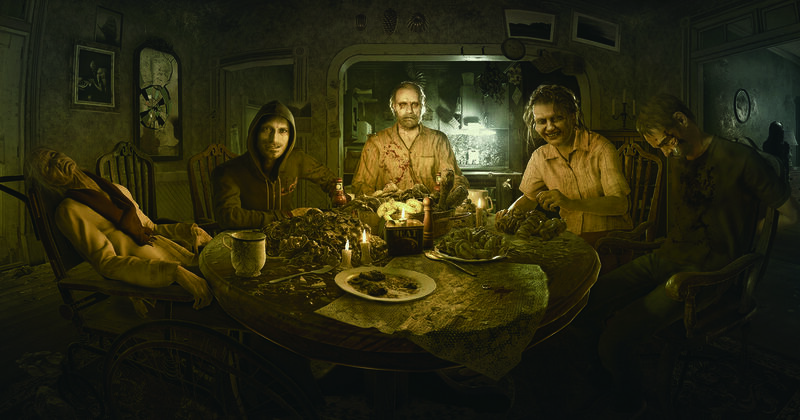 RE7 takes place within the Resident Evil universe post-RE6, but it lacks the familiar faces of Leon Kennedy, Chris Redfield, Jill Valentine, Claire Redfield, or even Wesker. If a game returns to the mechanics of an older version, but the aesthetics are different, does it still deserve to occupy the same franchise? Let's look at other series. Final Fantasy at this point is largely a connection of aesthetic choices. The mainline games have wildly different styles of play and the connective tissue is a shared history of concepts and characters: Moogles, Chocobos, Thunder/Blizzara/Firaga, Ifrit, Titan, Ramuh, etc. Final Fantasy left behind this idea of a shared type of mechanical play long ago. In contrast, there's the Call of Duty or Assassin's Creed franchises, which carry the similar mechanics forward from game to game. These major titles have to do this because they're trapped by their own success: change too little and your series is seen as stale, change too much and your fervent fanbase feels left out. In the latter situation, if a new demographic of fans doesn't appear, then you've lost a core group without gaining anything in the process. This fear leads to safe development. The horrific Baker family will be your host. Resident Evil currently occupies this space between Final Fantasy and the Call of Duty. Certain games share specific mechanics, but the grouping of games diverge from each other sharpely. Resident Evil 1, 2, 3, and Code Veronica, versus Resident Evil 4, 5, and 6 as a sliding baseline. But over all of this, Resident Evil has had a consistent aesthetic and narrative shell. It's that latter part where Resident Evil 7 diverges the most, which brings me back to the original question: What is Resident Evil? 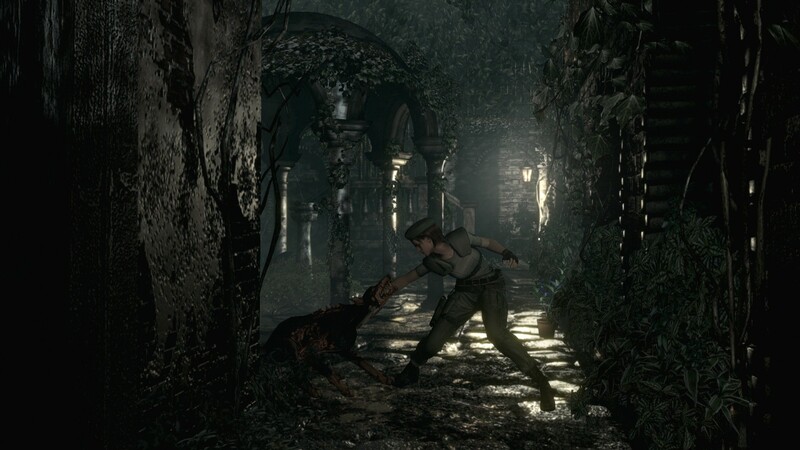 If you make a game that's mechanically a successor to the original design of Resident Evil, but it has a different aesthetic and first-person viewpoint, does it automatically become "not Resident Evil"? There's not one answer to this question, because games are ultimately a combination of mechanics, aesthetics, and narrative. We all prize different things. Probably the logical answer is, "It's Resident Evil because Capcom says it is," but history is littered with games that carried the name, but not the spirit. That's not always the best answer. We can't control the publisher or developer, but we can control how we percieve their efforts. We cannot lament a lack of innovation and risk-taking, while also forcing a developer or publisher to stick closely to our personal concept of what a series is. There has to be a sense of give-and-take; an understanding that developers may make mistakes trying to reach the soul of a game franchise, or through their experiments, find an entirely new space for a franchise. I want the familiar play of Assassin's Creed, but I also understand that Ubisoft may have to break that play in order to find a better way forward for the series. Imagine forcing Mikami to make Resident Evil 4 play like the Resident Evil games that preceded it. Resident Evil 7 is and is not like what came before. Capcom is revisiting the feelings that the first game engendered in players, even while they discard some of the ideas that fans have come to love over the years. One can react to what they've already seen, but at the very least, I'll allow Capcom some room to see if this experiment is a success or failure. It could be a new start for Resident Evil. Tagged with Articles,	Capcom,	Opinions.